After several rejections, my first published piece of opinion journalism was a 1996 satire on the bureaucracy associated with statewide transportation development, published by Journal Inquirer in Manchester, CT. Since then, and before I became a Courant columnist, I contributed opinions and essays to a variety of newspapers, including the New York Times, the Boston Globe, The Providence Journal, the New London Day. Essays published by the Hartford Courant are listed elsewhere. Complete list from November 18, 1996 to September 2, 2011. All are solo-authored unless indicated otherwise. Geology Professor Takes on Settler’s Rock (on the origin of Settler’s Rock, Block Island). Block Island Times, August 24, 2011, p. 13. A State By Geological Consent (on the origin of Connecticut). Hartford Courant, March 22, 2009, p, C5. 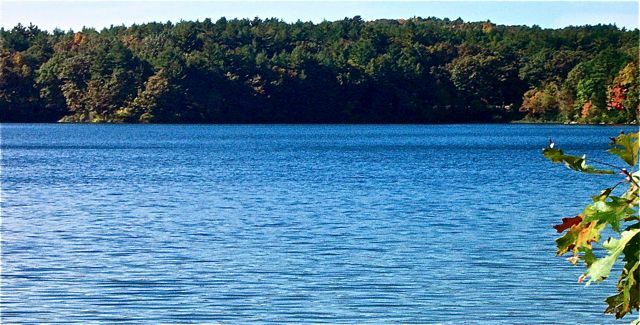 Holding Nature in Trust (On the necessity of land trusts) Hartford Courant, May 6, 2007, p. C4. Selfish Dog Owner Ruins a Rhode Island Beach (on unleashed dogs and public use of nature).The Providence Journal, January 13, 2007. Strip Mining History (on mining and thievery of abandoned stone walls), New York Times, October, 8, 2006. Legacy of Stone (on conserving stone walls). Boston Globe, Wednesday, January 1, 2003, p. A15. Warming up the Northwest Passage (on global climate change). The Providence Journal, Monday, December 30, 2002, p. A8. Something there is that loves a wall (Comment on excerpts on the release of my book, Stone By Stone). Willimantic Chronicle, Saturday, Sept. 14, 2002. The Perfect Flood? (On the public sense of threat). National Public Radio News (WNPR) News Highlight, electronically published/archived at http://news.wnpr.org/xpr/feature.jhtml. p 1-4. May, 2001. Maple Trees may flee to avoid warming. The Providence Journal, March 12, 2001, p. A10. Hold the Fort! (on the failed Fort Trumbull development).The New London Day, Sunday, December 31, 2000, p. C1. Forty Years on Plato’s Highway (satire on the failed Route 6 expressway from Windham to Boulton). Manchester Journal Inquirer, November 18, 1996, p. 19-20. 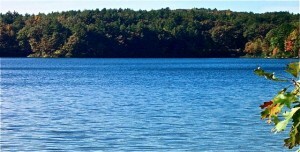 Photo: Walden Pond in September.